Relieve pain and discomfort naturally with Deep Tissue Muscle Balm. Loaded with natural pain relieving ingredients. 2 oz. jar. Directions: Apply to muscles and/or joints for relief of discomfort. Do not use on children under 2 years of age or if you are pregnant or nursing without advice from your doctor. Discontinue use if skin irritation occurs. Seek medical attention if your pain symptoms persist for more than 5 days. Store in a cool place. Warnings: For external use only. Do not use on wounds or open damaged skin. Avoid contact with eyes or mucous membranes. Wash hands well after use. Do not bandage tightly over this product. Keep out of reach of young children to avoid possible swallowing or getting in eyes. Fractioned Coconut Oil, Beeswax, Methyl Salicylate, Wintergreen, Menthol, Camphor, Eucalyptus, Lavender, Capsicum, Basil, Black Pepper, Roman Chamomile, Chamomile Blue, Cinnamon, Citronella, Eucalyptus, Everlasting, Ginger, Grapefruit, Juniper, Lemongrass, Peppermint, Pine, Ravensara, Rosemary, Spearmint, Oregano, Frankincense (Boswellia), Marjoram, Helichrysum Oil, Clove Bud Oil, Calendula, Petitgrain, Vitamin E.
Pain relief and anti-inflammatory benefits. 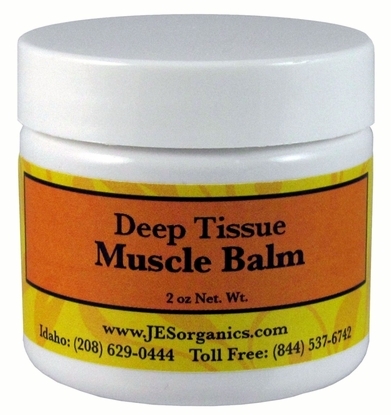 Great for bruises, sprains, soreness, swelling and for the relief of muscle and joint pain. Weak nervous conditions, tension, stress, muscular spasm, uplifting, stimulates blood circulation. Helps with headaches, sinus congestion, migraines, sore muscles. Pain reliever, rheumatoid arthritis. Anti-inflammatory, anti-spasmodic. Do not use if pregnant. Analgesic, anti-microbial, antispasmodic, tonic, bruises, warms, arthritis, muscle aches, pain, poor muscle tone, stiffness, rheumatism, good for before and after sports. 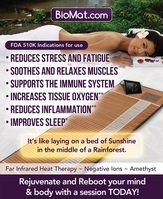 Increases circulation, dilates local blood flow. Anti-inflammatory, antispasmodic, useful for bruises, soothes skin, inflammations. Avoid during pregnancy. Helps ease bruises, inflammation, and pains. Anti-inflammatory effect, relieves cramps and spasms. Pain relieving, sedative, Analgesic action eases arthritis, low back pain and muscle pain, rheumatism, sprains, and inflamed joints. Aches, pains, arthritis, analgesic. Relaxes tight muscles, eases painful joints, increases circulation. Avoid during pregnancy and with children. Scent is very relaxing, antispasmodic and anti-inflammatory. Used for pain, rheumatism and arthritis. Natural anesthetic to dull pain. Muscular aches and pains, headaches, rheumatism. Do not use with very small children or with high blood pressure or epilepsy. Used for pain relief, bruising, rheumatism and arthritis. Antispasmodic, analgesic, anti-inflammatory, lessens muscle pain and arthritis. Rheumatism, exhaustion, stress, calming sedative effect. Anti-inflammatory. Rheumatism, arthritis, numbness, muscle fatigue, exhaustion, analgesic, reduces inflammation, headaches, aids lower back pain, sprains and injury. Muscle fatigue, stiffness, fluid retention, reduces headaches. Mental exhaustion, nervous tension, helps pain and inflammation of arthritis and rheumatism. Increases circulation and reduces fluid retention. Rheumatism, headaches, migraine, arthritis, anxiety, tension, spasm, and relieves pain. Analgesic, antispasmodic, anti-inflammatory, calmative, sedative. calmative, Reduces headaches, rheumatism and nervousness. Avoid during pregnancy. Active ingredient frequently used in topical products for aches and pains. Topical analgesic - helps to relieve minor aches and pains temporarily. Analgesic, headaches, migraines, fatigue, muscular pain, nerve pain. Cooling. Calming, anxiety, stress related conditions, has sedative effect. Antispasmodic. Analgesic, joint pain, arthritis, and rheumatism. Muscular pain and fatigue, neuromuscular problems, eases joint pain. Rub on tired muscles. strong analgesic. Muscular pain, rheumatism, arthritis, muscular weakness, overwork, migraines, headaches, relieves tension. Especially good for muscles and nerves. Analgesic. Anti-inflammatory, calming, refreshing to the skin and to muscles. Avoid during pregnancy. Anti-inflammatory, analgesic. Provides relief from swollen muscles and joints sciatica, or other types of nerve pain.